Since the Laing circulation pump uses a 3/4″ fitting and the Grundfos circulation pump uses a 1″, a strengthening adapter is made from a 1″ long piece of 1/2″ pvc pipe. This pvc pipe is inserted into the existing 3/4″ hose on the spa. It provides a strong base so that a piece of 1″ ID flex hose can be fashioned around the old hose, and a pipe clamp used to seal it. 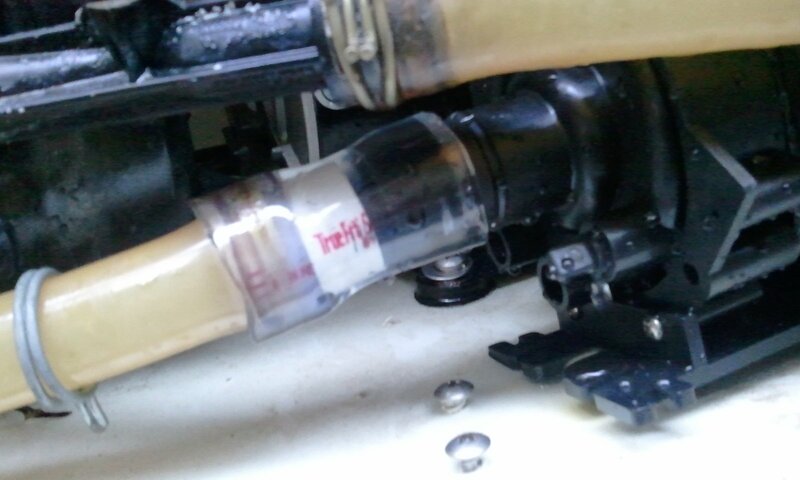 In the photo above you can see the piece of 1/2″ pvc sticking out of the old hose. The new 1″ diameter hose fits over the Grundfos fitting on the right, and over the old hose on the left. Existing clamps can still be used (shown in photo). Typically a standard 1 1/2″ hose clamp fits over the the Grundfos nozzle. It is easiest to perform this substitution without water draining out of the hose, (ie empty spa). If you have trouble manipulating the old hose… heating it up works wonders. In really tight situations, it may be necessary or a lot easier to install if you use a piece of 1″ hose a few feet long to get it to feed into the heater (ie looping it up and around etc). 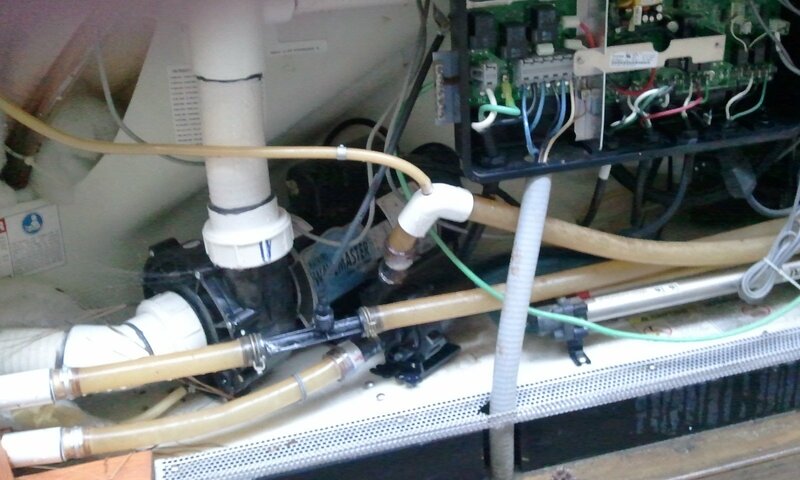 One last thing: on rare occasion, it may be necessary to remove the cover from the front of the Grundfos pump to rotate it to a better position to get the discharge fitting in the optimum spot for installation. This is usually not required, but if it is, it takes about 10 minutes to do it. You’ll need an allen wrench to remove the screws.